Dissolve the yeast and sugar in the warm water until foamy, about 10 minutes. Add starter, salt, oil, honey and whole wheat flour and mix thoroughly. Begin adding bread flour, 1/4 cup at a time, until dough becomes stiff. Knead dough until smooth and elastic. This took about 10 minutes in my stand mixer. Place dough in a ball in a greased bowl and let rise until double. Deflate dough and reshape into a ball and let rise until double again. Deflate dough and roll in a large rectangle, about 8 inches wide. Tightly roll the dough into a log, and place in loaf pan. Let rise until double in pan and preheat oven to 400. Bake ~35 minutes until done. 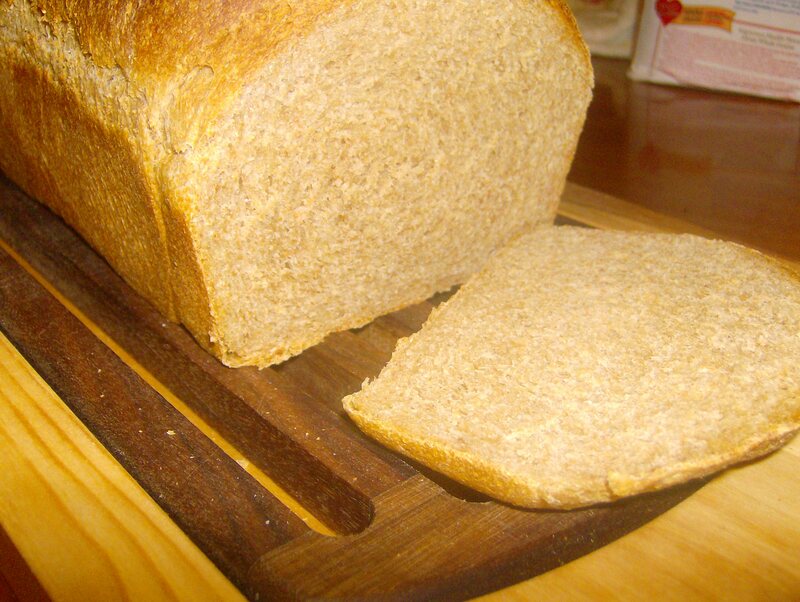 ***This can be made as a regular loaf of bread, without the starter. Just leave it out. 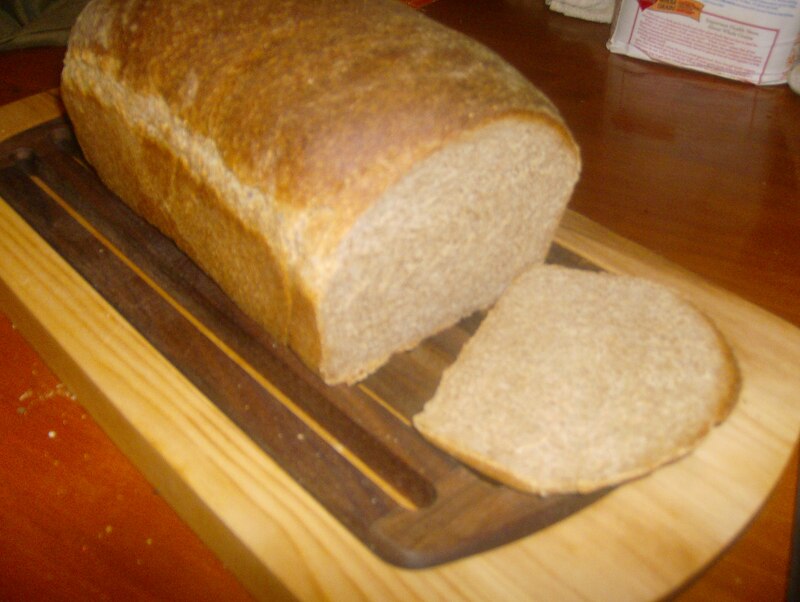 ***This can also be made into a free form loaf without the rolling and loaf pan.